How do I Remove Item(s) from a POS App order? Tap on the trash icon to remove it. 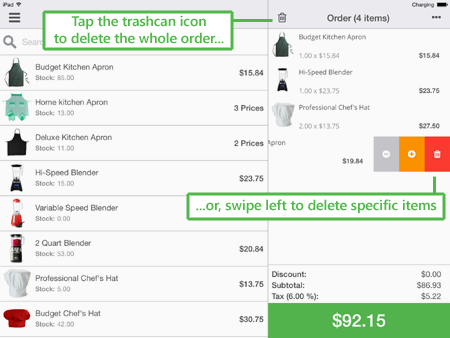 You can also tap the trash icon at the top left of the order to delete the pending order altogether and start anew. In the next section, we'll go over some special order functions that you can apply to the order using the POS App.